Performance management is the continuous process to improve or maintain your employees performance within your company; often by setting individual and/or team goals. These are then aligned to the objectives of your business, planning the performance to ensure your employees achieve them, reviewing and assessing your employees as well as your own progress, and ensuring you are able to maintain the objectives set as a business. Most business objectives/goals are to increase productivity, performance and to create a more efficient workplace. When setting objectives within your company, you need to analyse your business, what you expect from it and what will be achievable. By providing your employees with meaningful feedback during performance management conversations, they will feel more motivated to work towards your goals rather than obliged to. Employees can find performance management to be daunting, often because they believe their employers will only discuss matters where issues are concerned, instead of reviewing their performance as a whole. For performance management to be constructive and to have a positive effect, its best to structure your conversations carefully so that successful work can be praised, but also issues can be settled. It’s important to recognise what your employees are doing right, before what they are doing wrong. 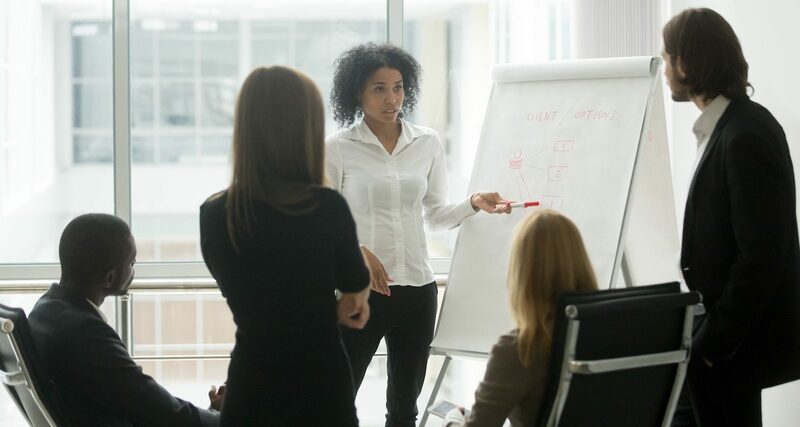 When conducting an effective performance management conversation, it may be useful to go into the conversation mentioning a topic or purpose or asking a question. For example, when your employee sits down you could ask “How do you think you got on with….”, then provide your review once hearing their response – this will provide a positive experience and outcome for your employee. By complimenting your employees work when necessary, you will encourage them to work more efficiently and may result in many more perceptible outcomes. When making criticisms you should provide motivation on how you and your employee can resolve the problem and to offer support if needed, instead of just pointing it out. Your employees like to feel appreciated and needed, it is imperative to continuously remind them that they are an asset to your company. By having regular, constructive conversations your employees will have a greater understanding of their job role and the importance in what they do, this will increase your overall performance as a company; you will create a better relationship between you and your employees as well. In conclusion, to ensure your performance management conversations are meaningful and successful and result in tangible outcomes, you need to positively engage with your employees, taking time during the conversation to ask about how they feel within work and making sure they are happy within their job role; as well as recognising their good work.